The SqlDBM team is proud to announce the release of SqlDBM v.2.5 based on our roadmap/feedback. Long awaited feature of ability to add colors to tables is finally here. 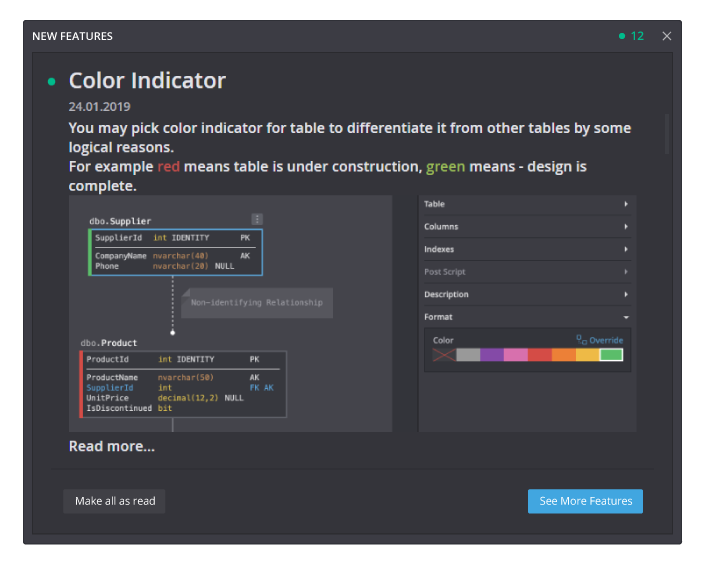 Now users can pick color indicator for tables to differentiate it from other tables by some logical reasons. Also, users can assign color on schema level as well, which sets the color of all tables under that schema automatically. 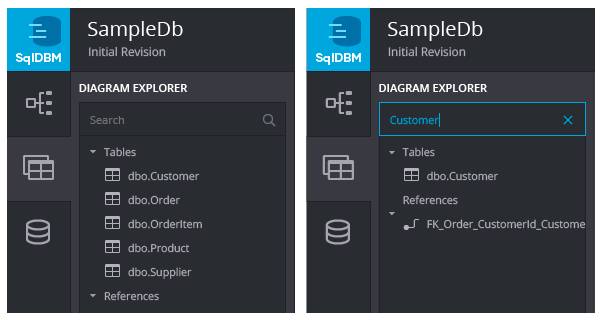 In this version, SqlDBM released feature for easily finding tables to add them to your diagram or access them for any particular reason. This feature becomes very handy when there are large number of tables in the database, and user need to quickly access them. This feature is very straight forward to use: there is filter available at top of Diagram Explorer as we as Database Explorer. We noticed that sometimes users are not aware of new cool features that we release. To address this issue, we added small blinking icon on our tool page, clicking on which provides quick access to check out any new features that are rolled out. Now in SqlDBM, users can easily add new related tables (both parent and child) by single click functionality. Just by selecting a table, tool shows for dots around the selected table, clicking on any dot (left or top dot for Parent table & right or bottom dot for Child table) will create a related table. We believe visualization of different areas of the database (based on business logic or data-flow or connectivity) is a key factor in designing/understanding your database. 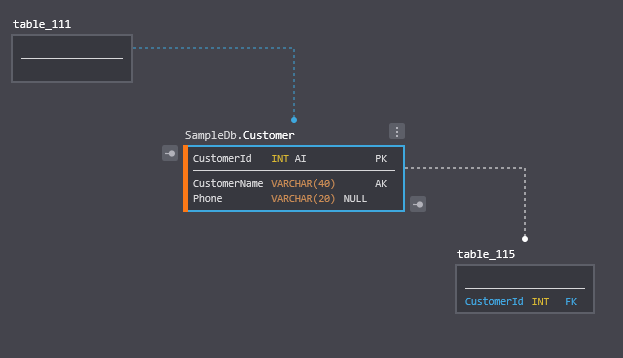 Hence, we added a very neat feature, which helps user to better visualize “table along with its connected tables” , by dimming rest of the diagram. Just click on the table of concern and you will see the affect.